Student Chloe Allred and Vans executive Steve Van Doren are both scheduled speakers at the Laguna College of Art and Design commencement Monday, May 21. 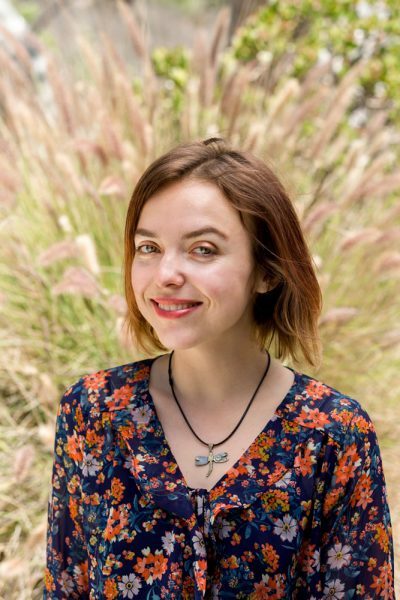 This year’s student speaker is Chloe Allred, who is a candidate to receive a master’s in fine art painting and is an activist. Allred was one of the many survivors of sexual abuse who appeared on stage with Lady Gaga at the Oscars in 2015. Van Doren started work at what was the Van Doren Rubber Company in 1966 when he was just 10 years old when his father, Paul, opened the company in Anaheim. Paul Van Doren instilled in Steve and his siblings a work ethic that has made Vans into a global action sports brand. For years, Vans has collaborated in an LCAD honors lab teaching design students about footwear design and marketing, hosting an annual design competition and offering internships. LCAD President Jonathan Burke praised Van Doren for opening doors for students. Student athletes can take advantage of $40 physicals during the Laguna Beach High School athletics department community day Saturday, June 2. Come for a $5 pancake breakfast from 9 a.m. until noon as well as physicals and cardiac screening, through 1 p.m. The latter costs $85 per person. Sports teams, the arts departments and school clubs will set up information booths in the quad.